Inspired by a previous client with the brilliant idea for space shoes, this design is now availabe to all! 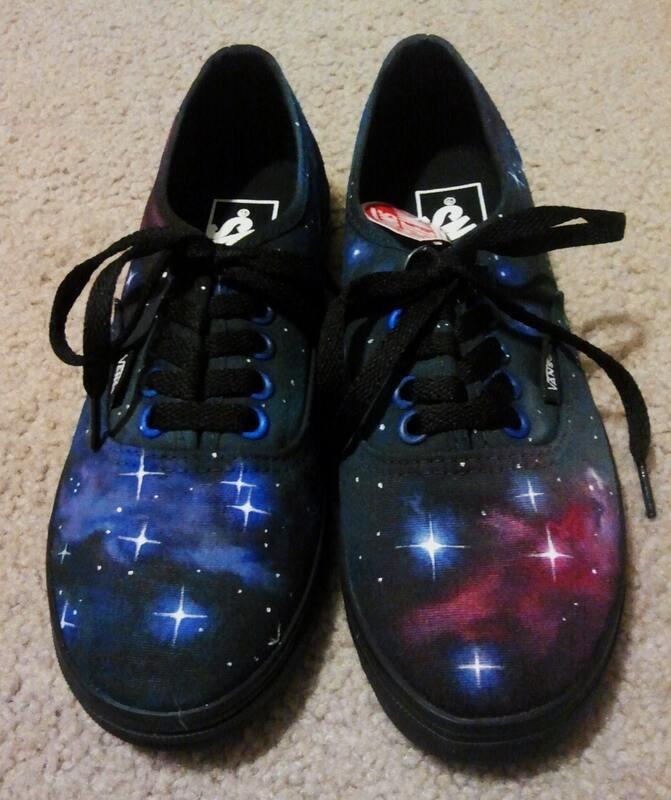 I paint on shoes that are canvas material, this listing is made with the brand Vans in the lo pro authentic style, but if you prefer a different brand such as Tom’s Shoes, Keds, etc. send a convo or email and I will quote you on the price. Generally I would charge for the price of the shoe + $115.00 for labor. If it is made of canvas material, I can paint on it.